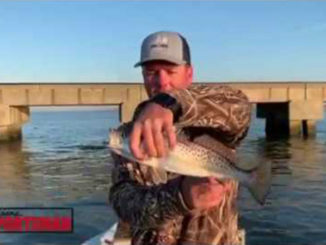 Speckled trout anglers have a lot to look forward to along the coasts of Louisiana and Mississippi this month. By all accounts, it should be a much hotter bite than last year’s. 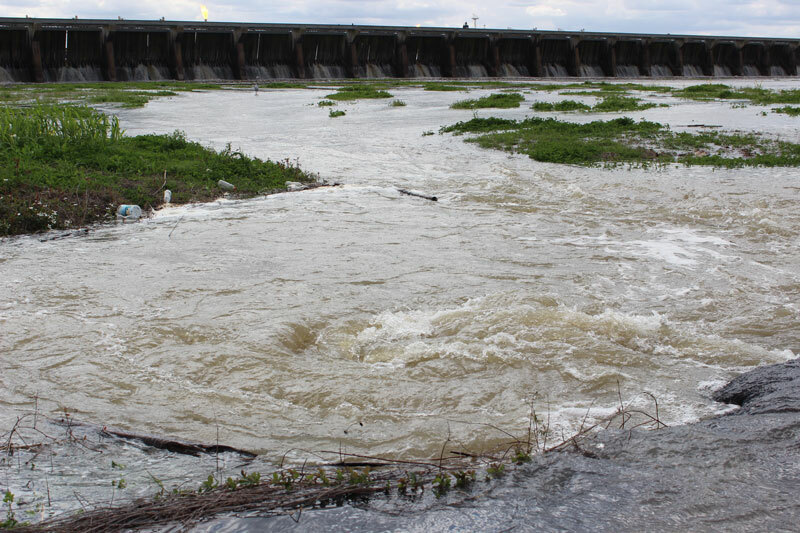 And while the Bonnet Carré Spillway on the Mississippi River continues to pour out the remnants of a long, wet winter, the trout bite should still be much better than it was in 2018. “The main difference between this year’s trout fishing and 2018’s is that we had a very mild winter this past year. The year before, the winter was brutal and while we didn’t see many big schools of dead trout, many clearly died off. So last spring, the bite was definitely off,” said Capt. Herk Bergeron of Pair-A-Dice Charters in Grand Isle. And Bergeron (985-860-7855) said even though the runoff from Bonnet Carré had an impact on last year’s bite, he believes it was overstated. “It was the brutally cold weather that made the trout bite difficult last year. The Bonnet Carré, it didn’t kill any trout, it just moved them to different areas. It made anglers look a little farther and work a little harder, but the cold weather is responsible for there being fewer trout last year. That freshwater runoff from Bonnet Carré pushes so much freshwater and silt in that the fish just scatter. But it doesn’t kill the bite. With all that silt, the fish will travel. They’ll still bite when you find them though,” he said. And this year’s runoff from Bonnet Carré does appear to be less drastic, at least at this stage. According to the Army Corps of Engineer’s Chris Brantley, the number of gates open last month was less than their March average and lower than last year’s. They also opened the majority of them later than in most years. “At this point, we’ve got fewer gates open than we did last year and fewer than we normally have at this point on the calendar. We’re still waiting on all the snow from up north to melt and come through, and as that happens, we may have to open more gates. How long it will last, or how many gates we’ll have to open — it’s not something I feel comfortable making a prediction on. It’s different each year for many factors. But at least right now, there is less water moving through the spillway than last year. Less than the average year, in fact,” Brantley said. In the Cocodrie area, Capt. 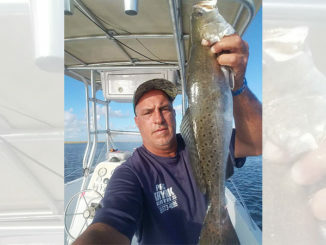 Stu Scheer of Cocodrie Inside Charters (985-855-1846) is “cautiously optimistic” and said no matter what, the trout bite here will be better than last year’s, and better than any other place in the world. 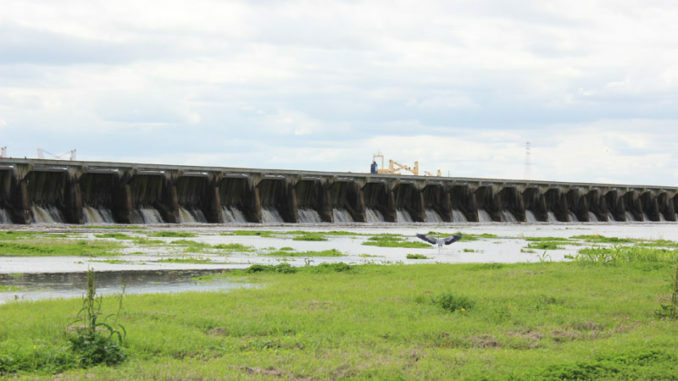 And even if the Bonnet Carré opens more gates and continues to push more of the Mississippi’s fresh water into the Gulf, Scheer said that’s just not something anglers should worry about. “It will have an impact on the trout fishing, but it’s not going to turn it off. For selfish reasons, it would suit me better if they open more gates and push more freshwater into the Gulf. That will push the fish further west of the river into Terrebonne Bay where I do most of my fishing. And the silt doesn’t kill the fish and doesn’t turn the fishing off. If they keep dumping, it will make trout fishing tough east of Lafitte. But Cocodrie — we’ll have it good,” he said. Mississippi anglers are expecting a hot trout bite along the western part of the state. In fact, the State Commission on Marine Resources recently granted authority to close down fishing for trout based on how many specks were caught in Mississippi the last time Bonnet Carré opened its gates during March. 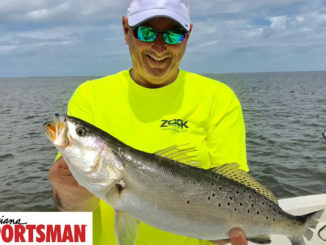 “Last time, it pushed all the speckled trout around in the western Mississippi Sound and everybody was catching speckled trout. We really want to protect the species,” said Commissioner Richard Gollott. That doesn’t sit well with Mississippi anglers like Jerod Doucet of Diamondhead. “As long as we’re not keeping more than our limit, what difference does it make? It’s like saying the limit is xyz, unless you’re catching that many, and then we’ll just close the fishing down if that happens,” he said. Bergeron looks for one of the hottest trout bites in April to be north of Grand Isle. Mendicant Island, North Barataria Bay, and Caminada Bay are all good choices. “Anywhere you find shrimp jumping or birds diving, use Vudu shrimp or live shrimp. The smaller, the better. And if the water temperature is below 70 degrees, you need to fish it really slow. In the Cocodrie area, Scheer said anglers should focus on the backsides of islands in areas like Terrebonne Bay and Timbalier Bay. “There’s a lot of sunken islands full of shells in there that were above water just a few years ago. If you can find those islands you can clean up on trout, especially using an H&H Cocohoe Minnow double rig in motor oil color,” he said. Along the Mississippi coast, Doucet is looking for the hot bite in areas closer to the Pearl River. “Last year when the Bonnet Carré Spillway flooded the Gulf starting in March, it was like a jubilee in Heron Bay on up to Bayou Caddy. It should be hot again this year. Point Clear and Bay St. Louis should be good too,” he said.